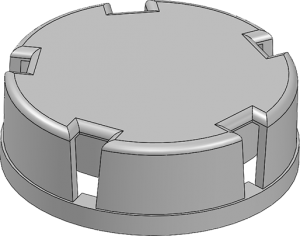 There are many factors to consider when choosing a manufacturing method for your project. Understandably, cost is one of the most important, especially for projects with tighter budgets. To help you put it all into perspective, we did a cost analysis for you. Below we have two part designs. One is what we consider to be fairly simple and the other is more complex. 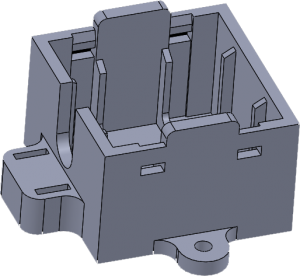 We’ve quoted these two parts through the quoting engines of various rapid manufacturing companies, averaged them out and compared them to our own injection molding process. This will provide you a good idea of how piece pricing will effect overall costs among the most common manufacturing methods. 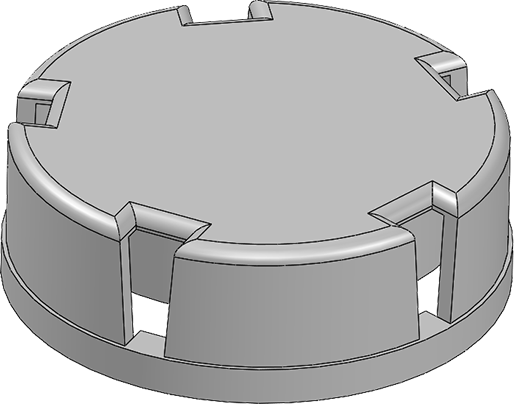 It will also provide a better sense of when to start thinking about Injection Molding process for your prototypes or production run. It might be a little earlier than you think. The injection molding process has fewer limitations than any other method for manufacturing and is still the king of thermoplastic part production. Despite SLS being less expensive, it is very limited in material selection which makes it more suitable for prototyping than anything else. Injection molding is probably more economical than you thought. The benefits of injection molding will allow you to select from a huge assortment of engineered grade thermoplastics, to choose many different types of surface finishes and can build some of the most complex designs. 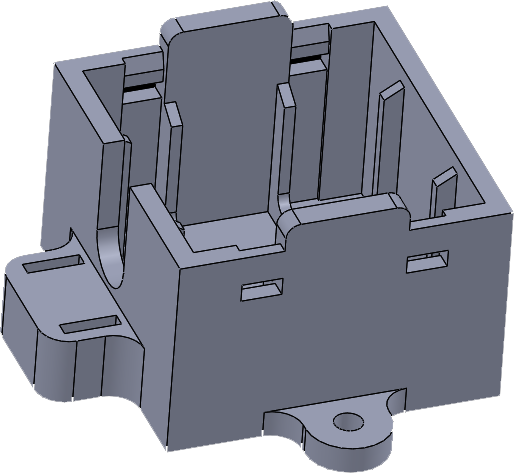 For simpler designs, the injection molding process becomes an even better choice if you need fewer than 50 pieces. Is your part ready for Plastic Injection Molding? Unlike other Plastic injection molding companies, we won’t ask you to change your design to make it easier for us to manufacture. That means the part you design is the part you get. In short, if we can’t manufacture your most complex projects and deliver it in 15 days or less, no one can. © 2019 Xcentric Mold. All Rights Reserved.